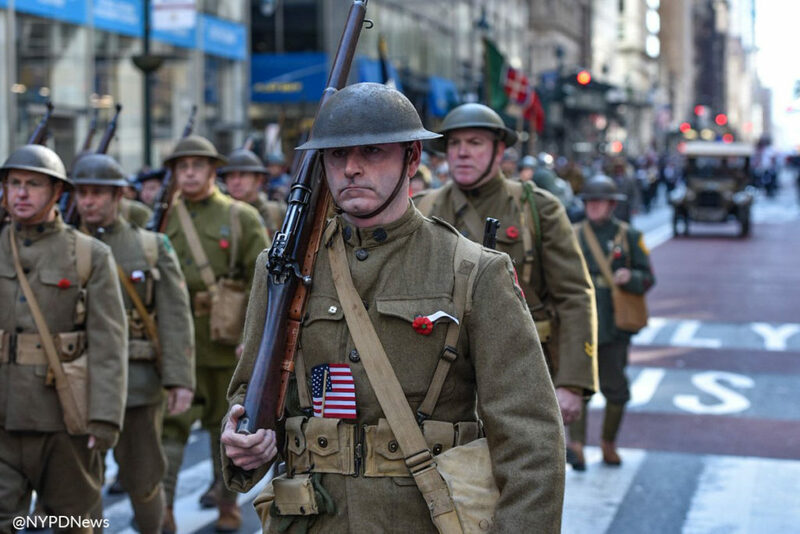 This year’s event is a significant one as it marks the 100th anniversary of the armistice that ended World War One. 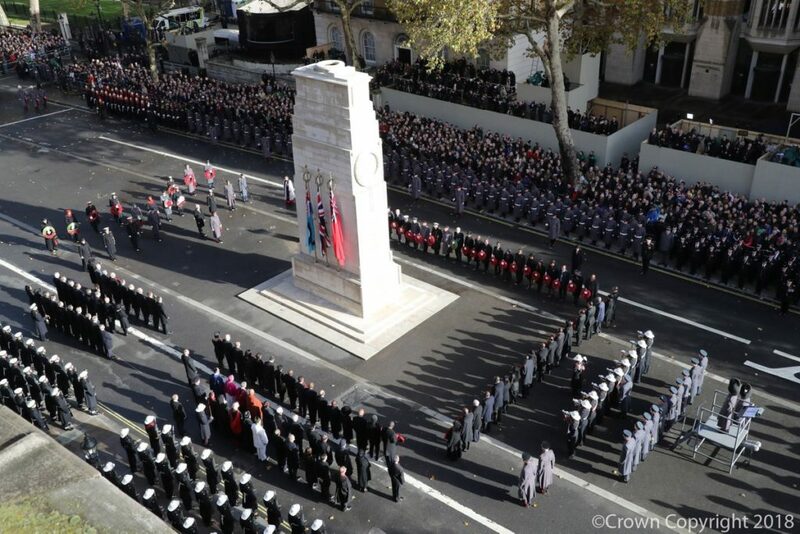 Ahead of the Two Minute Silence at 11am, members of the Royal Navy, Army and Royal Air Force on parade at the Cenotaph. 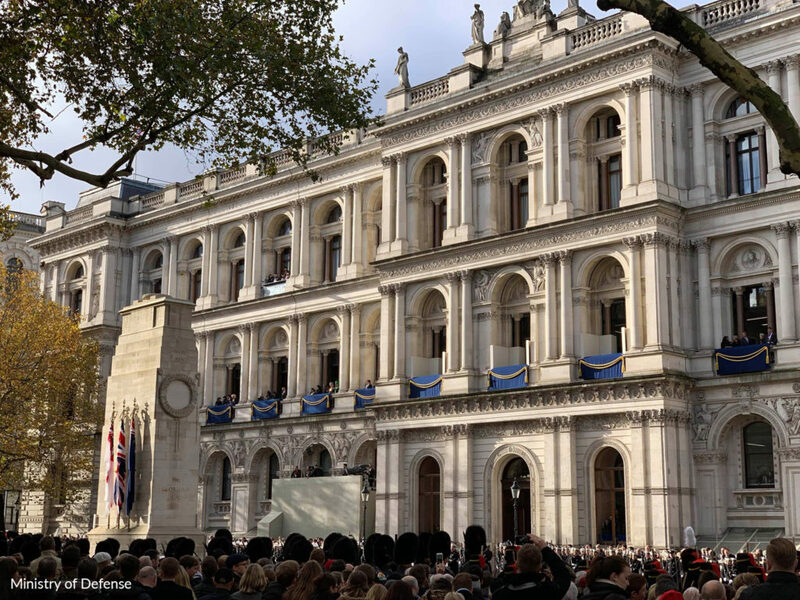 Below on the balcony at the Foreign and Commonwealth Office in Whitehall, London; The Duchess of Cornwall, HM Queen Elizabeth II, The Duchess of Cambridge, Frau Elke Büdenbender, wife of German President Frank-Walter Steinmeier, and The Duchess of Sussex. A closer look at Meghan with Mrs Steinmeier. 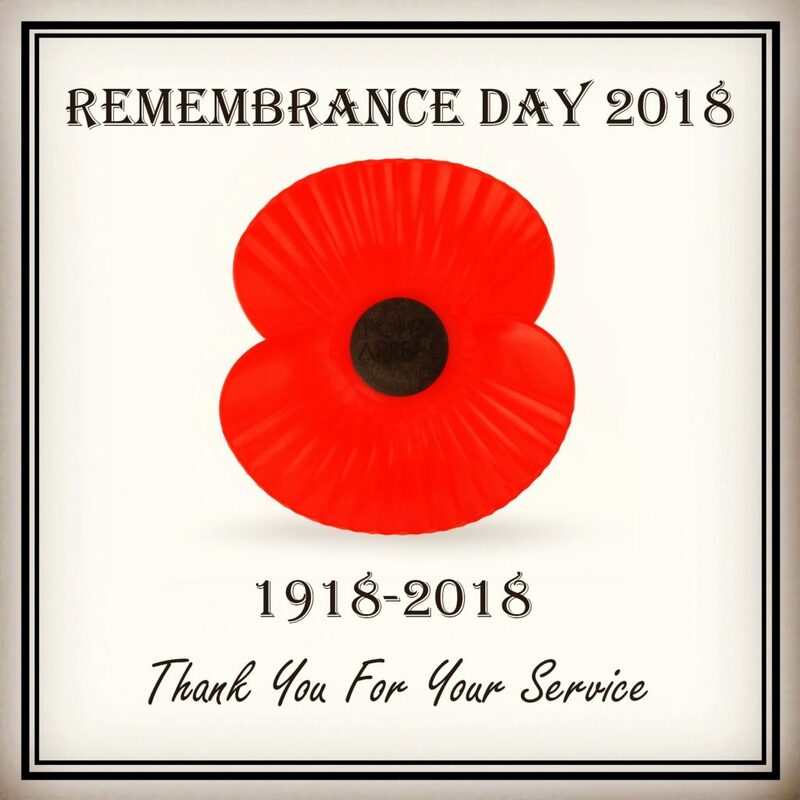 Between July 28, 1914 and November 11, 1918 over 800,000 UK troops lost their lives with an estimated 20 million soldiers and civilians killed around the world. Renovations of Big Ben were paused as the clock chimed a 11am to begin two minutes silence for the nation to remember those brave service men and women who made the ultimate sacrifice. An overhead view of the Cenotaph ahead of the wreath laying. 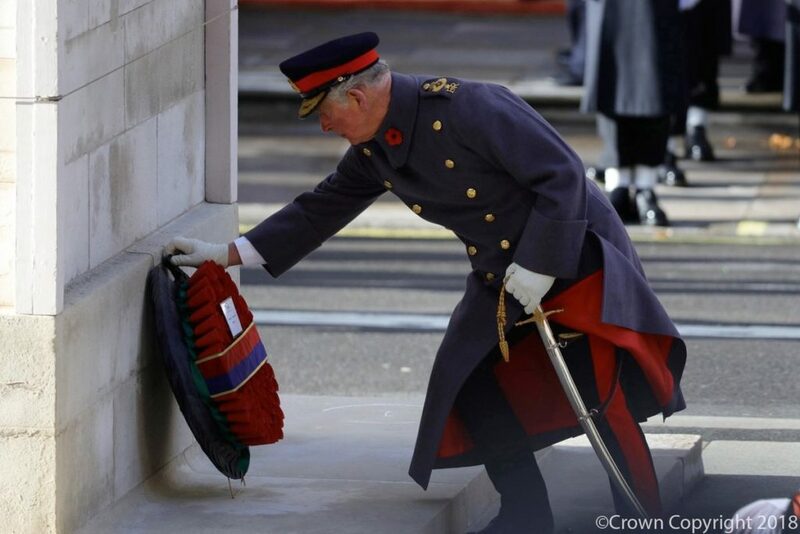 The Prince of Wales laid a wreath on behalf of his mother, Her Majesty the Queen. 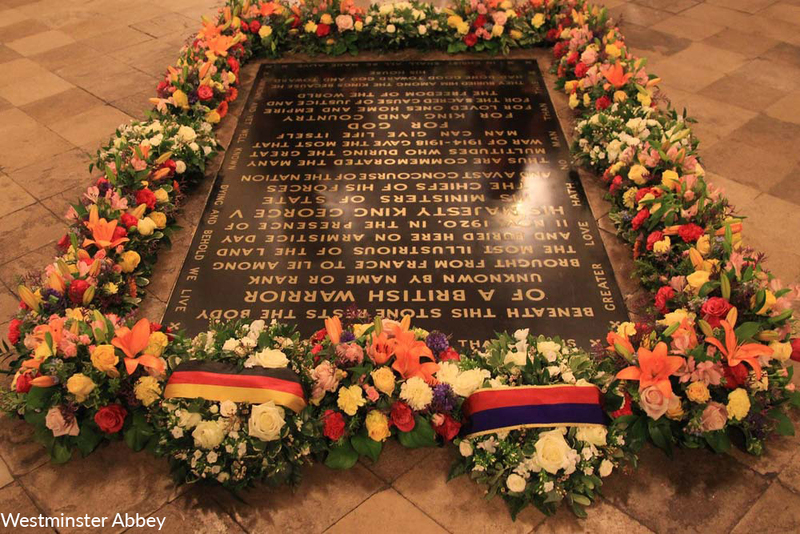 An officer of the British royal household placed a wreath at the foot of the Cenotaph on behalf of the Duke of Edinburgh who was not in attendance. 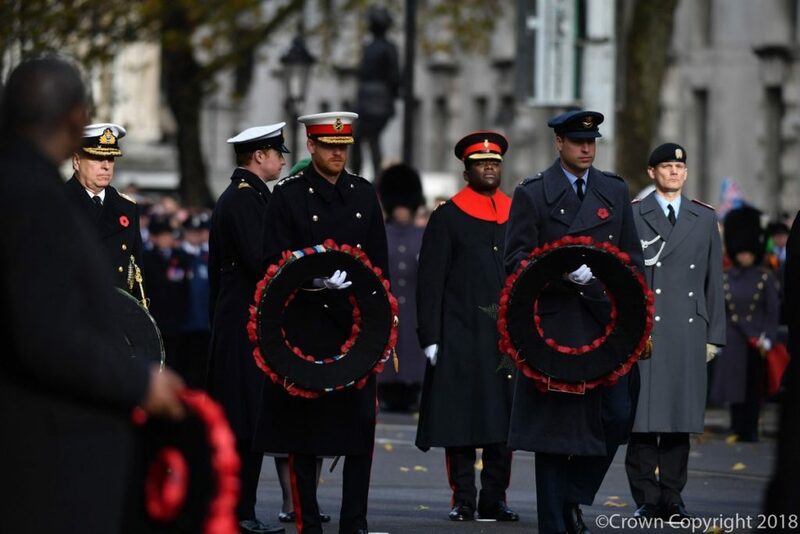 Prince Andrew can be seen below, far left, with The Duke of Sussex and The Duke of Cambridge as they step forward with their wreaths. 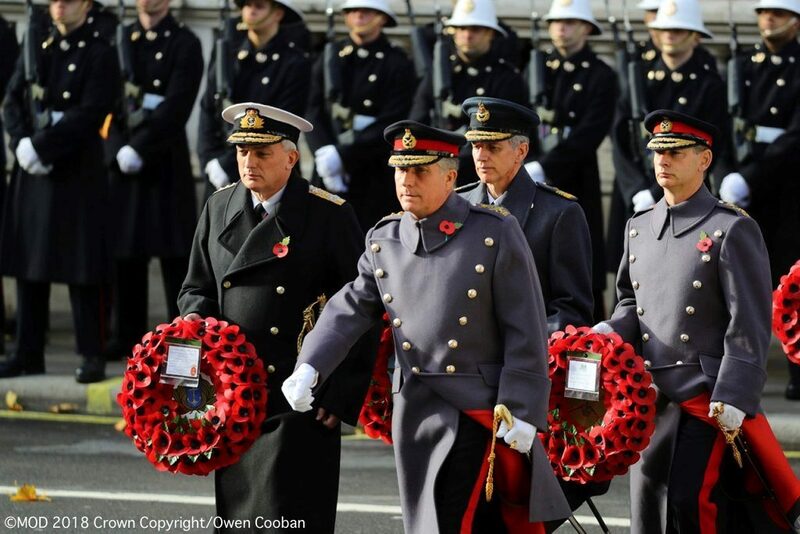 The Chiefs of Staff for the military branches lay wreaths, seen from left to right: Chief of Naval Staff, Admiral Sir Philip Jones; Chief of the Defence Staff General Sir Nick Carter; Chief of the Air Staff, Air Chief Marshal Sir Stephen Hillier; Chief of the General Staff, General Mark Carleton-Smith. 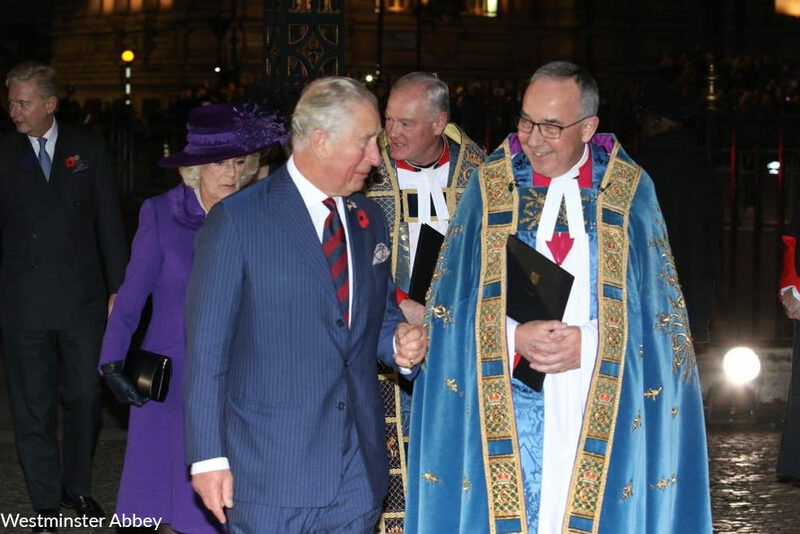 This year Her Majesty The Queen, The Prince of Wales and The Duchess of Cornwall, The Duke and Duchess of Cambridge, The Duke and Duchess of Sussex, The Duke and Duchess of Gloucester, The Duke of Kent and Prince Michael of Kent attended a Service in the evening at Westminster Abbey to mark the Centenary of the Armistice. Because of the anniversary there was an additional service this evening at Westminster Abbey. 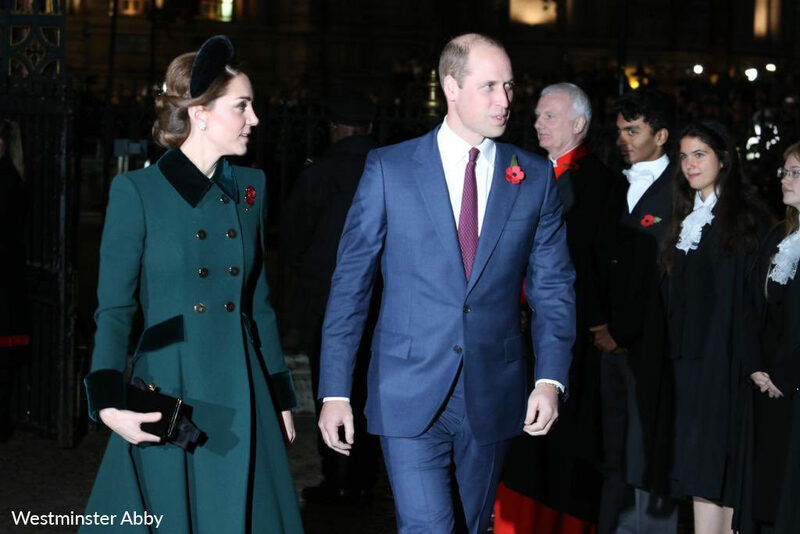 Below, the Duke and Duchess arriving for the Armistice 100 service at the Abbey. The Duke and Duchess of Cambridge arriving for the service. The Duchess of Cornwall follows Prince Charles into the Abbey as he chats with The Dean of Westminster, The Very Reverend John Hall. 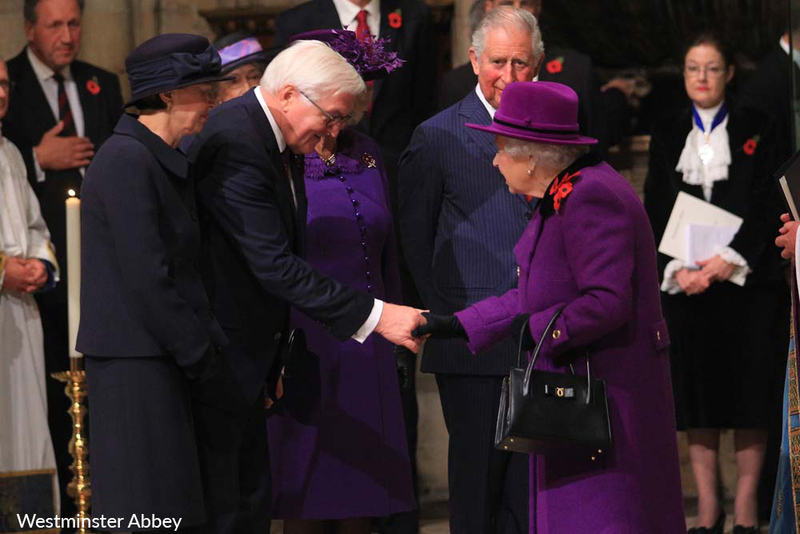 HM The Queen in a beautiful shade of violet. 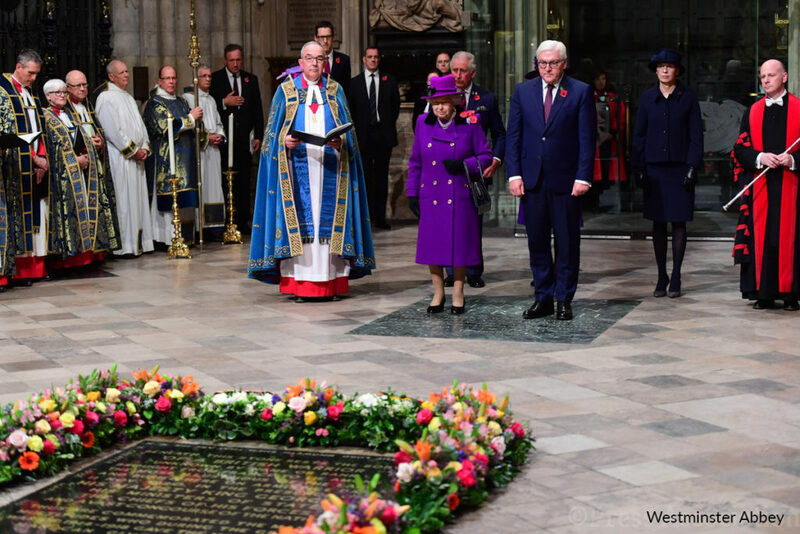 Inside Westminster Abbey, The Queen and President of Germany, Frank-Walter Steinmeier. At the morning service the President laid a wreath at the Cenotaph, marking a historic reconciliation between the two nations. The two then laid flowers at the Abbey’s Grave of the Unknown Warrior together. It was another step of reconciliation for the two countries. 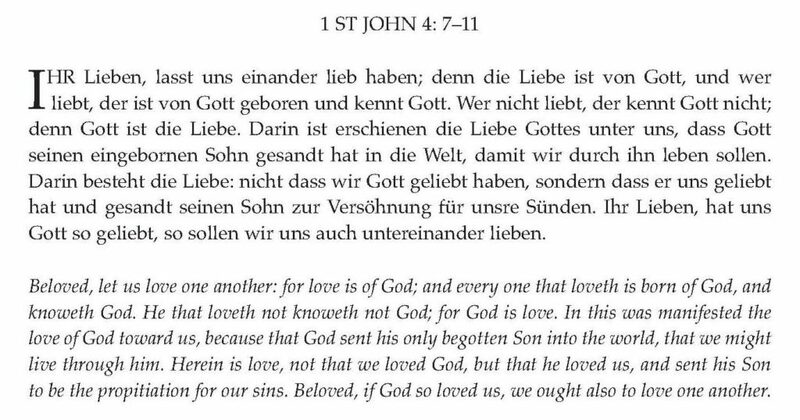 During the service, President Steinmeier read 1 John 4: 7-11 in German. Below it, the translation in English. You can read more about the service from Westminster Abbey here. 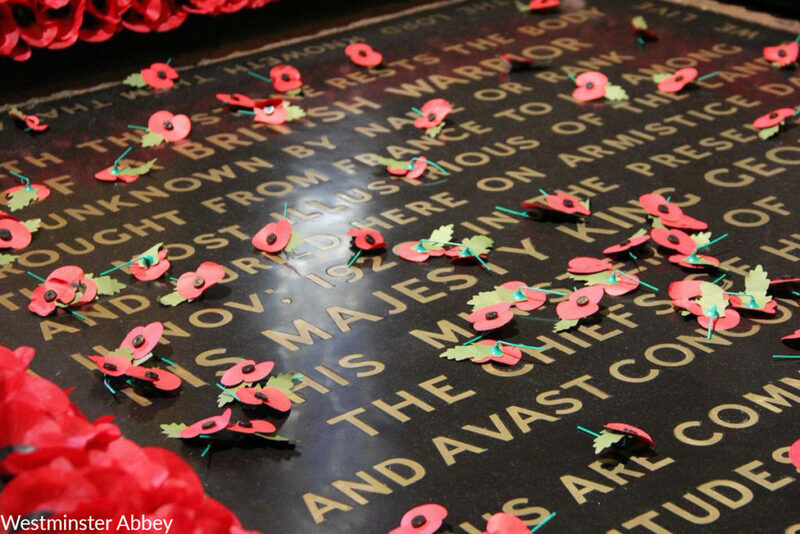 Today around the world, people pause to remember all those for their service, sacrifice and support. 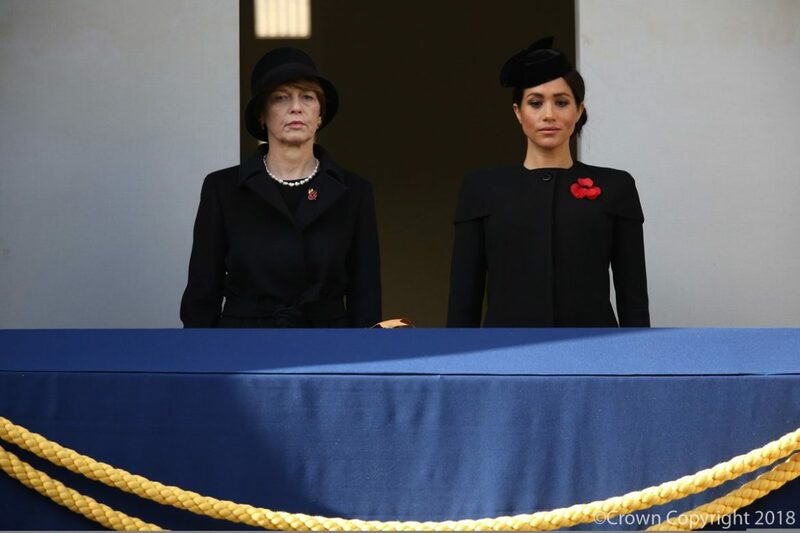 With this being Meghan’s first Remembrance Sunday in the UK it brings together thoughts about US and UK observances, of Veterans Day here and Remembrance Days in the United Kingdom. 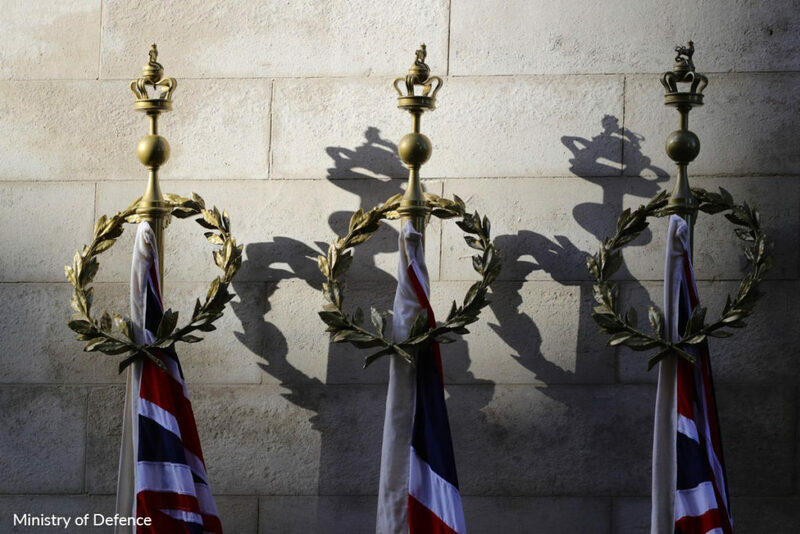 While we recognize the day here in the US and honor our veterans with parades and various ceremonies around the country, the UK really does a spectacular show of appreciation on this day. Below a photo from the Veteran’s Day parade in New York City. A scene from the service at Arlington National Cemetery, Washington, D.C.
For those who have followed Meghan for some time now, you may remember she joined other celebrities on a 2014 USO Tour. 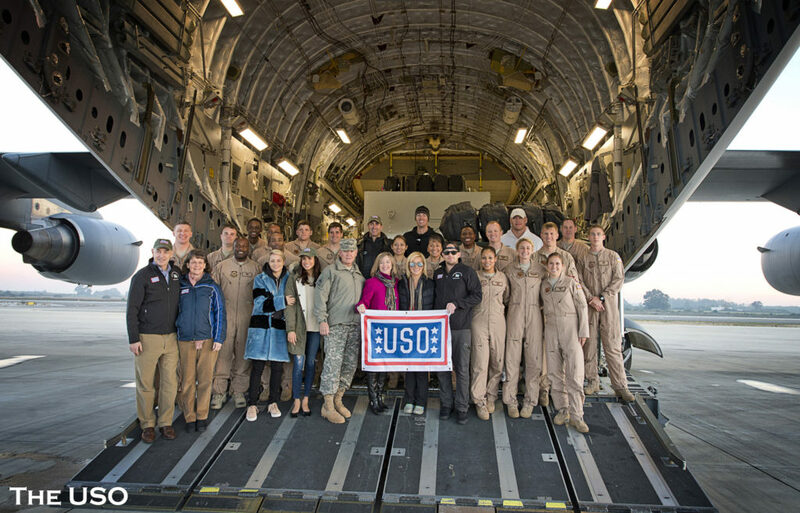 Below you see Meghan in a photo taken on the 2014 USO Chairman’s Holiday Tour with actress Dianna Agron, (to Meghan’s left) General Martin Dempsey, his wife Deanie, country musician Kellie Pickler, her husband Kyle Jacobs, (L to R in the back row) actor and former US Marine Reservist, Rob Riggle, Washington Nationals pitcher Doug Fister and former Chicago Bears linebacker Brian Urlacher with the crew of a C-17 airlifter cargo plane. 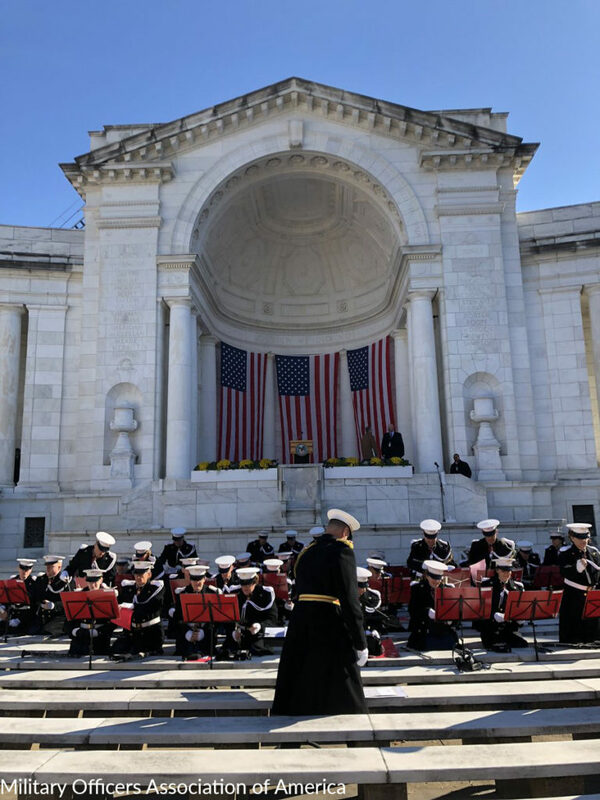 The group visited five countries during their tour (Spain, Italy, Turkey, Afghanistan and England) and entertained thousands of service members and their families. We have a very brief look at what Meghan wore for today’s services, starting with this morning’s event. She was in a structured coat coat with shoulder “caps” that extend over the upper arms. Her coat is by Givenchy, who posted on Instagram the piece was designed by Clare Waight Keller. Thank you to Alex for letting us know in a comment about the Givenchy post. Her hat looks like it is black velvet. 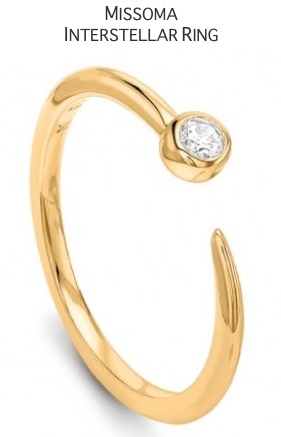 It was suggested that it could be from milliner Stephen Jones. 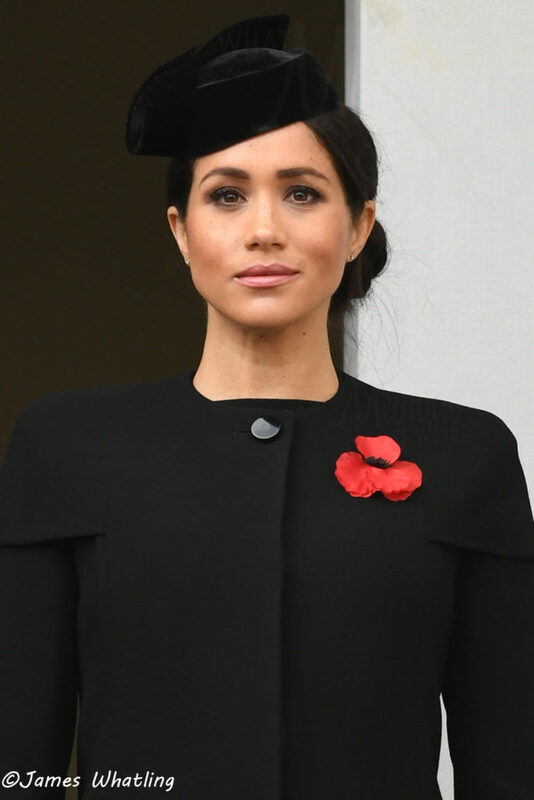 Meghan also wore a poppy that appears to be made of silk. For the evening service at Westminster Abbey, Meghan wore a belted navy jacket with double-breasted styling and three-quarter sleeves. 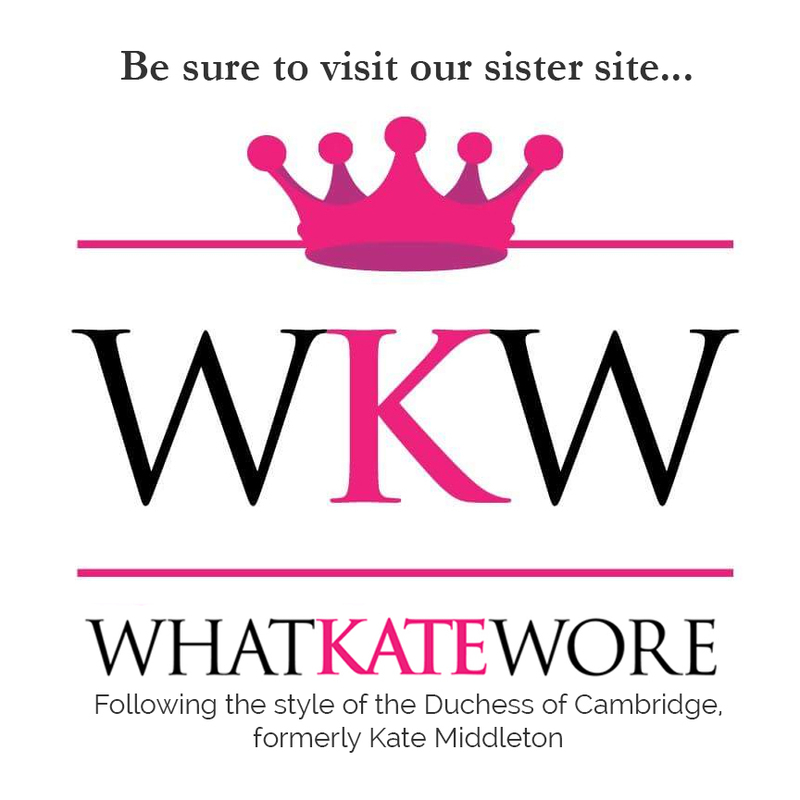 The Duchess was in a matching skirt that hit just below the knee. 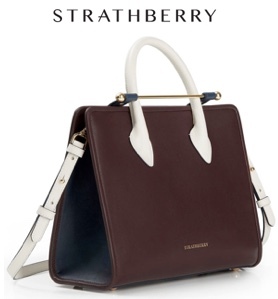 The pieces are quite similar to the Prada outfit she wore at the Queen’s Young Leaders Reception back in June. Meghan’s shoes are the Aquazzura ‘Deneuve Pump 105’ in navy suede. 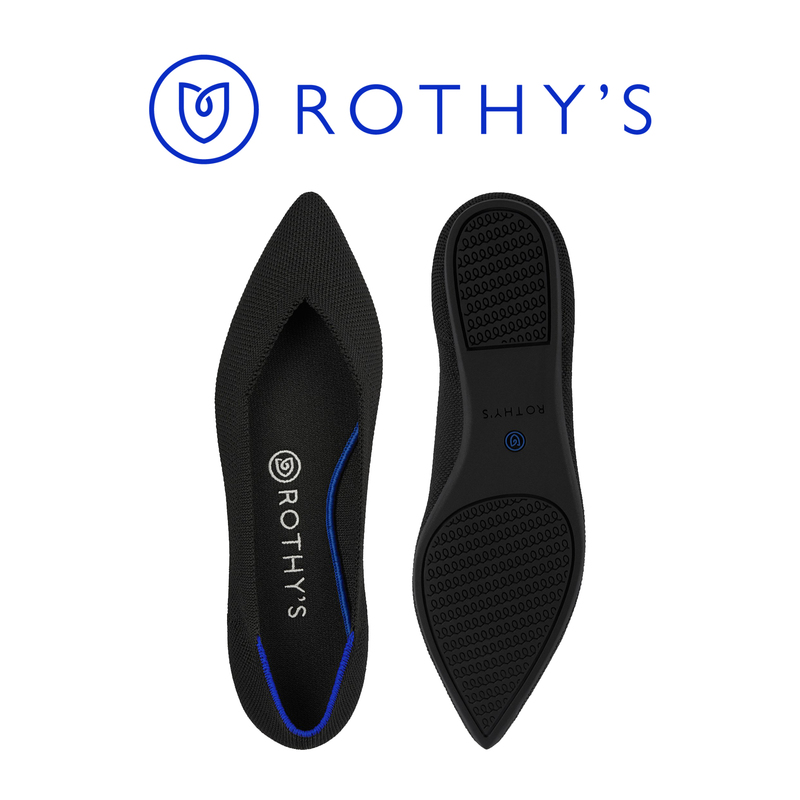 We do not have a stock photo of the shoes in navy; our thinking is that these may be a custom pair or a colorway that is not yet available. Below, the style in black. You can purchase the black suede here. Her hat is thought to be from Stephen Jones, the milliner’s Beret style. 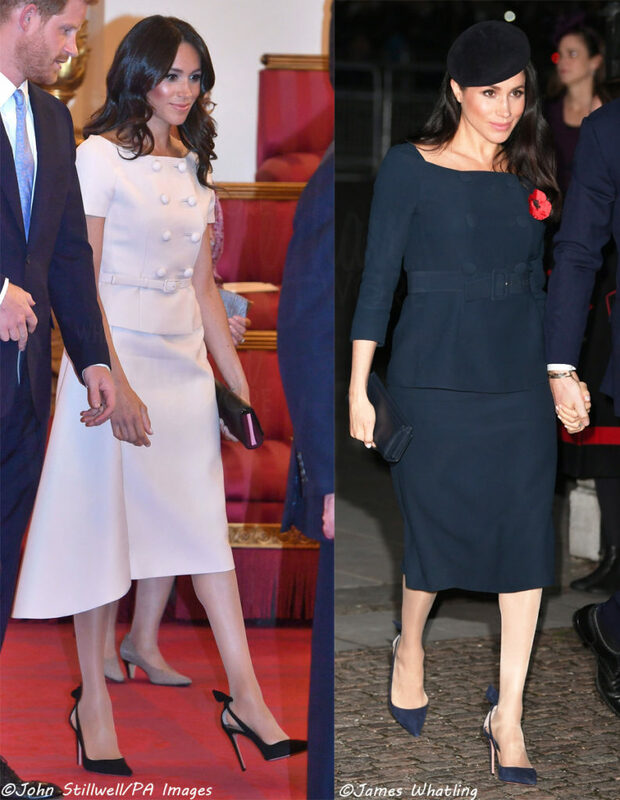 Meghan wore the style in March at the Commonwealth Service. We will be updating the post as we receive more information. On behalf of What Meghan Wore, “The Susans” would like to thank all Veterans today and everyday, around the world for your Service, Sacrifice and Support! I like her westminster abbey outfit very chic and i LOVE the shoes. I love the coat so much! Hopefully we get to see it full-length some time. I also thought her makeup was lovely- dewy and glowing, and her hair and little hat were perfect. I was not such a big fan of the navy suit. To me, it was very unflattering as a maternity dress- it made her look wider than she really is, and slightly boxy. I think it is the belt with the heavier fabric, heavy buttons, boat neck and all the volume around her waist. Unflattering or not, though, it was a very chic and appropriate choice for the ceremony. 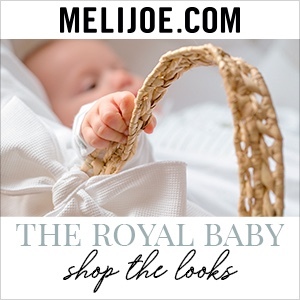 I’m sure it is really hard for her to choose clothing- this period of pregnancy is tough because you don’t quite need maternity clothes, but you can’t quite fit into your pre-pregnancy size, either. And I think you get bigger or smaller depending on so many things throughout the day. Plus she has to deal with a terrible amount of scrutiny- whereas I only wore slightly larger tunic tops, empire-waisted dresses and baggy sweaters for the first 4-5 months. Meghan’s penchant for high-gloss sleek chic really comes into its own for a solemn balcony event. She looks flawless for the Cenotaph ceremony. The Givenchy tailoring is mouthwatering, those superb sleeve caps and that sole round button at the throat are all pure class and a perfect salute to the military presence on parade. Her updo and neat hat are perfection. I also like the basic concept of the evening skirt suit — the wide neck, double-breasted covered buttons and wide belt — it’s just unfortunate that it can’t quite accommodate maternity. 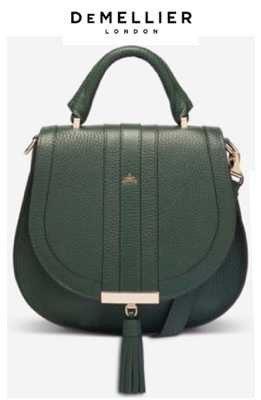 That’s very clever to observe how similar it is to the earlier Prada. Navy accessories make a nice monochrome and hair looks good worn down while it is held away from her face. I love having another beret, it really suits her. 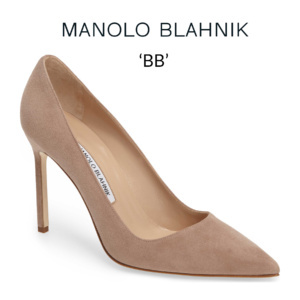 My only quibble is I find those little bows on the Aquazurra pumps a touch frivolous for a solemn cathedral service. But then I don’t imagine Meghan ever imagined she would one day find herself attending quite so many church services and a little of her pre-royal self maybe peeks through from time-to-time. I remember thinking on Anzac day what an adjustment it must be for the DoS to experience these memorial holidays as a British citizen for the first time. Pinning those paper poppies to your coat must feel very humbling–wanting to honor your new country and its war dead and at the same time being wary of inserting yourself into a tradition that you have not grown up with. I think she’s handled these kinds of events very gracefully, with the appropriate solemnity, and I include both the concert and today’s appearances in that. The balcony look is just wonderful–I adore that coat with the sleeve caps, which seem very Givenchy indeed, and the black velvet hat with the big bow is very smart indeed. I’m less excited about the Westminster Abbey look, but I do think she looks well in it and it’s very appropriate. 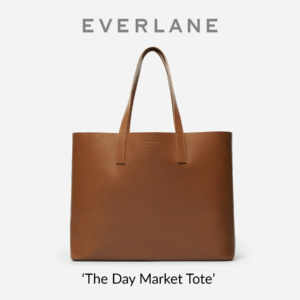 One note: is it *four* colorways that she now has those Deneuves in? I do adore them, but we could be moving into overkill territory. 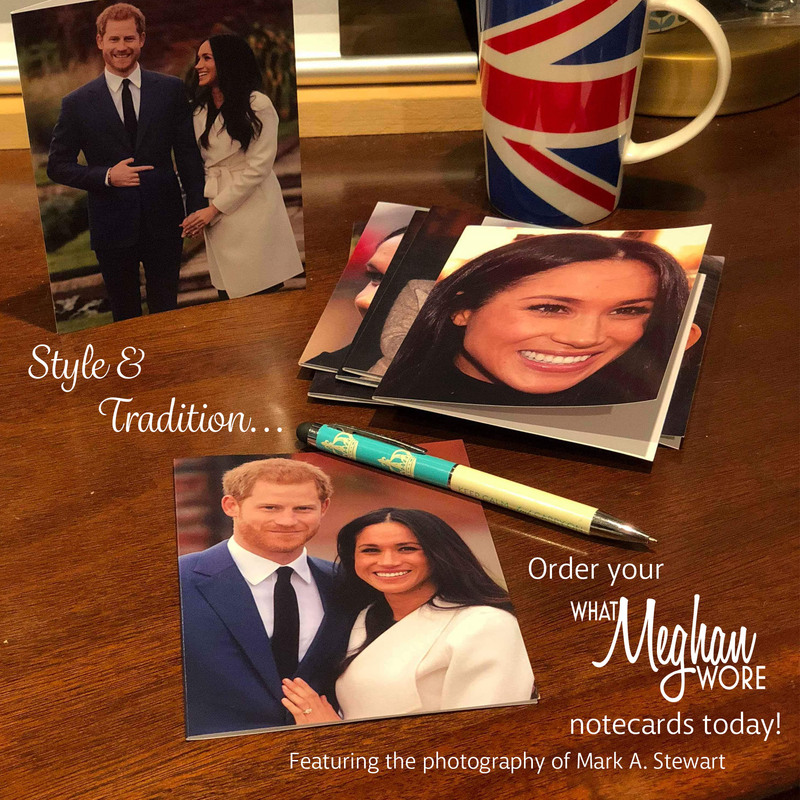 I, too, thought a great deal about the mind boggling adjustment Meghan must have to make with these holidays. She’s not a British citizen, by the way, and won’t be for awhile. She’s an American citizen who has married into the RF. When she hears/sings “God Save the Queen” does it war in her head with “My Country tis of Thee?” How does one suppress 37 years of an American identity no matter how deeply she loves her husband? I had no idea she did USO tours to entertain the troops. Good for her! And thank you, too, Meghan from California. Most of all I thought about the wildfires burning all over the state where she was born and raised and worked, where her mother lives, and where friends live, and what she must be feeling about it, as she stood there looking so solemn and beautiful in that gorgeous coat. Her coat of arms has California poppies in it. But it must be hard sometimes. Yes–I agree on all counts, Jessica! This Givenchy coat is a work of art and perfect for the event, and the hat is charming. I don’t care for the Westminster Abbey look at all. I didn’t care for the blush Prada outfit either. The combination of double breasted and boatneck just strikes me as a bit funny. I do think she looks great in a beret! 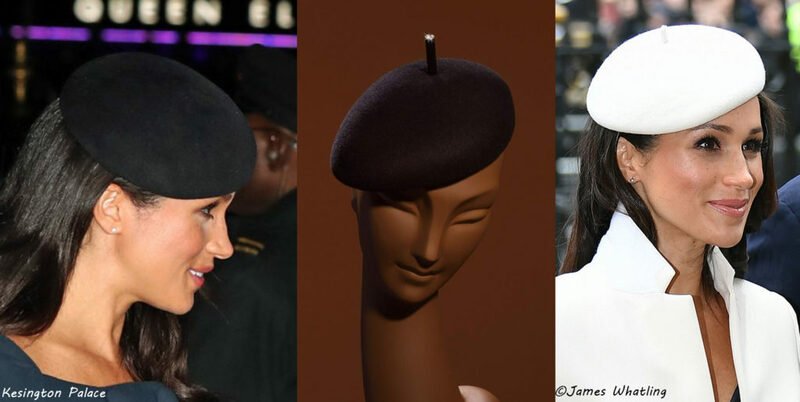 Berets really work well with her style. She looks truly beautiful at both of these events. I loved the Deneuves when Meghan first wore them. I even loved them in a second color. IMO we’re definitely in overkill territory. I like the balcony look, but the Westminster Abbey look is a miss for me. The skirt is mumsy, unable to decide whether it’s pencil or a-line, and the jacket doesn’t fit well — the belt is practically cutting off the lower buttons. Disappointing for a custom look. I imagine Meghan thinks she’s creating more of a defined waistline with these tightly belted looks, but between her short-waisted “apple” figure and her growing midsection, garments that skim that area are far more flattering on her! Both looks are stunning, understated, elegant and gorgeous. Meghan is gorgeous and I agree with Karen that the looks are understated! Thank you for all your very hard work on the Australia tour as well! I don’t know where to post this request so I hope this is appropriate . 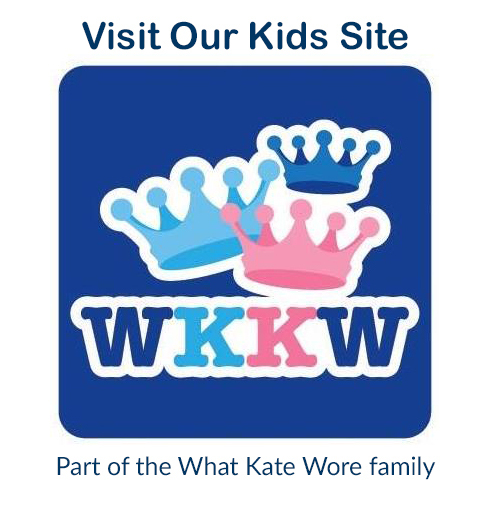 . . would it be possible to do like you do on the WKW website and list the number of comments on each post under the title of each? I love to check back for a few days after a recent posting and note if the comment number has gone up so I can go back in and read them (and often after a few days they are replies to comments so the conversation threads get interesting). Thank you so much, I really love these two websites! Thanks for the request, Juniper, I’d been thinking the same thing, but wasn’t sure how to approach it. Thanks for your detailed coverage of these events. I saw that the Givenchy official Instagram account posted earlier saying Meghan’s first outfit at the Cenotaph is designed by Clare Waight Keller. Thank you for letting us know, Alex! I love the structure of Meghans black coat! So pretty, I hope we get a pic of the bottom of it.. I like her navy outfit too. I like that she has this sort of capsule wardrobe of lots of coordinating navy pieces and such.. Very moving to read and visualize all of the happenings Meghan is experiencing this Remembrance day. Thank you for including the commentary, photos and video regarding her participation in the 2014 USO Tour, I had no idea. Taken with Meghan sharing the balcony at the Cenotaph Remembrance Service with Mrs. Steinmeier, wife of the German President. Profound. Meghan’s morning coat with shoulder caplets and front placket is subtle and classy. Looks like a black dress is underneath, a hint of a neckline is peeping out. Her hair, makeup and accessories are understated and beautiful. Love to see the length of this coat someday! 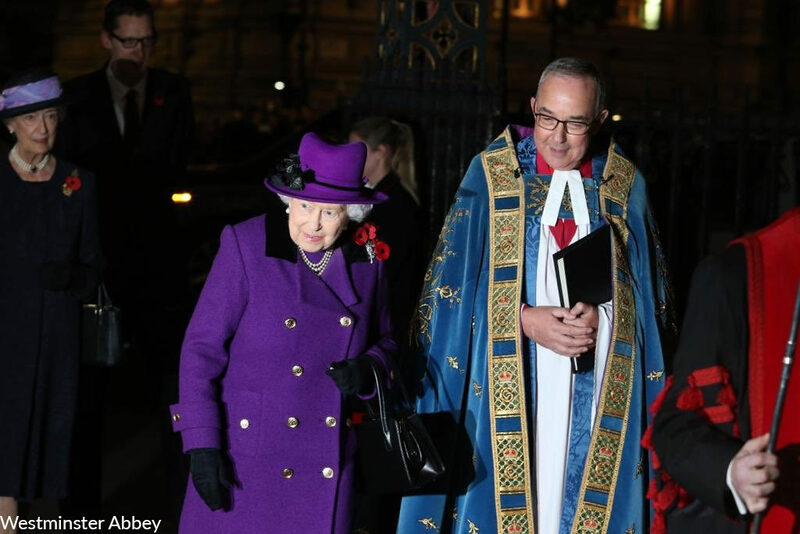 Both dressed in blue, Meghan and Harry made quite the pair at the closing evening service at Westminster Abbey. Meghan’s wide belt, covered to match her jacket and skirt, adds shape and silhouette. She’s made me a fan of the navy and black pairing and I welcome the toss of a black beret with the navy clutch and heels. I really love both these outfits. The Duchess looked so fresh face and young during the morning ceremony. I like the velvet hat with the caped coat. The hair style was appropriate and her make complimented the entire look. For the evening service I love the suit, but I think she could have done better with her choice of hat. I think Duchess Meghan has not yet fully embraced the art of the English hats. I believe once she embraces them they will be one of her best accessories. I am impressed with her wearing belts over her belly even though she is pregnant. Just beautiful! In the morning ceremony she looked a little nervous, but she Looks comfortable and happy here. Another first under her belt! A great of remembrance, and for honoring our veterans. Agreed! Except for the part about the hat 🙂 To (I suspect many of us) non-British folks, the typical ladies hats look over-the-top at best, and bizarre or outlandish at worst. No offense meant to anyone who loves that part of British fashion, but they usually look outdated in any case. 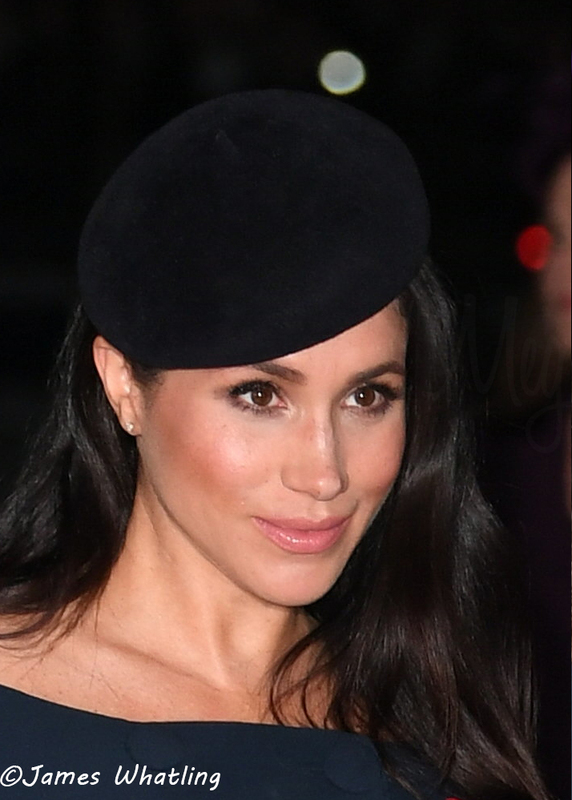 Meghan’s approach of wearing minimal hats is actually making them slightly more palatable (but only slightly!). Meghan looks very nice and her outfits for both events are appropriate. I have the feeling that Meghan will always look correct for November 11. The date requires dark clothing and a minimal look and that is what we see over and over again in Meghan’s choices. With accessories of navy in her shoes and purse, I’m not sure why she chose to wear a black hat to the abbey. I do like her more prominent poppy. Last night, when she wore the mini brooch of a poppy, it barely showed up.